Each application is read by a committee and considered based on the above criteria. Applications will NOT be considered if any information is missing or is not legible. Please contact Leslie Blatt (njasler15@gmail.com) with any questions. ‘Enthusiastic Reader’ Award Winners will represent all of the many students in New Jersey who value the joy and importance of reading. The celebration for the winners will take place at a luncheon during the NJASL Fall Conference on Sunday, December 2, 2018 at Ocean Place in Long Branch. The nominating librarian or teacher will serve as the contact for the family and is invited to attend the celebration. Each Enthusiastic Reader winner and two (2) guests will also be invited to join a special lunch on Sunday, December 2, 2018. Additional tickets will be for sale. 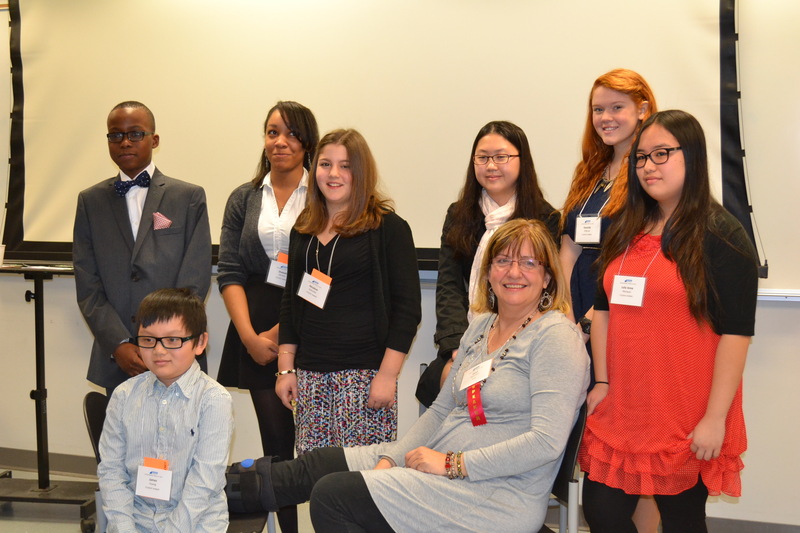 These winners were honored on Saturday, March 14 at a special ceremony that will take place during the NJASL Spring Event at William Paterson University.